Many people neglect the more laborious cleaning work which they have and the early spring is the great time to do it. We offer excellent spring cleaning which will ensure the flawless condition of your rooms. If you are bothered about the well being of your family and pets, use our professional help to keep your home clean. Our cleaning staff will take care of the hygiene of your house or flat, saving you the stress and hassles. Use our great spring cleaning services in Clapham SW4 at reasonable prices. The spring cleaning we provide will make your home perfectly sanitised and healthy for your family and guests. It will be done with the help of effective and powerful machines and eco-friendly detergents. 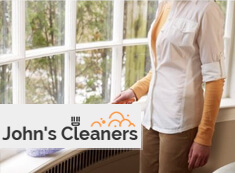 Our cleaners will remove the dust, grime, lime-scale, grease, mould and cob-webs from all areas and rooms. They will make your home refreshed and ready for the warm season. The spring cleaning which we offer in and around Clapham SW4 may include different tasks, according to the needs of every household. Use our professional services and you will have more free time and less cleaning work to do. Instead of spending many hours in tiresome cleaning work, have a rest and let out personnel handle it. They are fully insured, professionally-trained and have the proper cleaning equipment and supplies to do it qualitatively and fast. Use our deep cleaning services in SW4 Clapham whenever you need deep and detailed cleaning of the rooms in your home. You can schedule your cleaning using our customer support centre, online booking form or by sending us an e-mail. You will definitely be pleased with our cleaners’ work. Copyright © 2019 John's Cleaners. All Rights Reserved.